Josh graduated with honors from Pacific University with a Doctor of Physical Therapy degree (DPT). He holds a Bachelor of Science in Exercise Science from Linfield College. He continues to enhance his education with continued education classes in manual therapy with the North America Institute of Manual Therapy. He is also a Certified Strength and Conditioning Specialist through the National Strength and Conditioning Association. Josh has over fifteen years of experience in personal training and had the opportunity to work with many professional and semi-professional athletes as well as organizations such as the Nike, Under Armour, Men's Health Magazine, Women’s Health Magazine, Multnomah Athletic Club and the United States Olympic Track and Field Team. Josh played Lacrosse for Linfield College and currently the strength and conditioning coach for PSU lacrosse. He personally trains year around for triathlons, marathons and other local endurance races. Mark graduated with honors from Pacific University with a Doctor of Physical Therapy degree (DPT). He completed his undergraduate work at Pacific University and holds a Bachelor of Science in Biology with a minor in Exercise Science. Mark's physical therapy education has been enhanced through continuing education classes in manual therapy with the North America Institute of Manual Therapy. 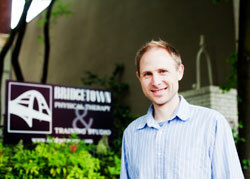 Before becoming an Owner at Bridgetown Physical Therapy & Training Studio, Mark served as the Clinical Director for an outpatient orthopedic physical therapy clinic. Mark played collegiate soccer for Pacific University, and started his collegiate soccer career at the number one ranked Yavapai College in Arizona where he had the opportunity to play in two national soccer tournaments. His love for the sport of soccer as well as his interest in human sciences drew him into his physical therapy career. 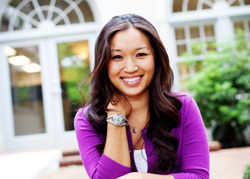 Darla graduated from the University of Southern California with a Doctor of Physical Therapy degree (DPT). She holds a Bachelor of Science in Health and Human performance with a concentration in Athletic Training from George Fox University. She has enjoyed working with a variety of sports teams, including track, basketball, and football. Darla is currently a certified Athletic Trainer and has a passion for long distance running. After completion of USC School of Physical Therapy, she participated in the Kaiser Orthopedic Residency program in Los Angeles where she expanded her knowledge in orthopedic manual therapy techniques and clinical reasoning. Darla’s knowledge of orthopedics has been recognized by the American Board of Physical Therapy Specialists and granted her the title of an Orthopedic Certified Specialist (OCS). Darla continued her work in outpatient orthopedics in Los Angeles before she returned to her home state of Oregon. She has an interest in maintaining a healthy lifestyle through running and enjoys participating in marathons. Ali graduated from Regis University in Denver, CO with a Doctor of Physical Therapy degree (DPT) in 2007. 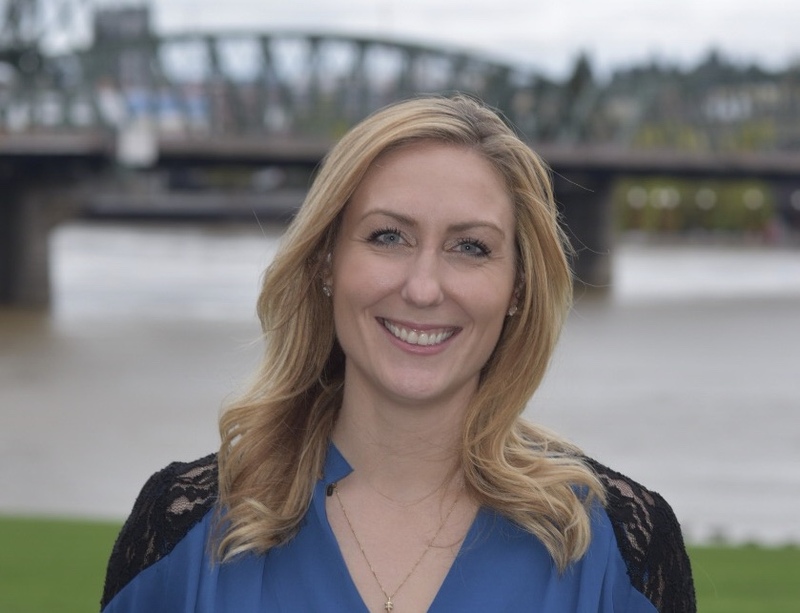 Prior to physical therapy school she received her Bachelors of Science in exercise science at Gonzaga University where she rowed on the crew team for a year and played on several club sports teams. Since starting her physical therapy practice she has continued to expand her skill set through manual therapy based continuing education classes and plans to complete a manual therapy certification in the coming years. Ali is passionate about helping patients return to their prior level of function and activity, whatever level that may be. She uses a combination of hands on techniques along with therapeutic exercises to maximize patient outcomes. She enjoys skiing, tennis, hiking and biking and is currently playing in a dodgeball league. 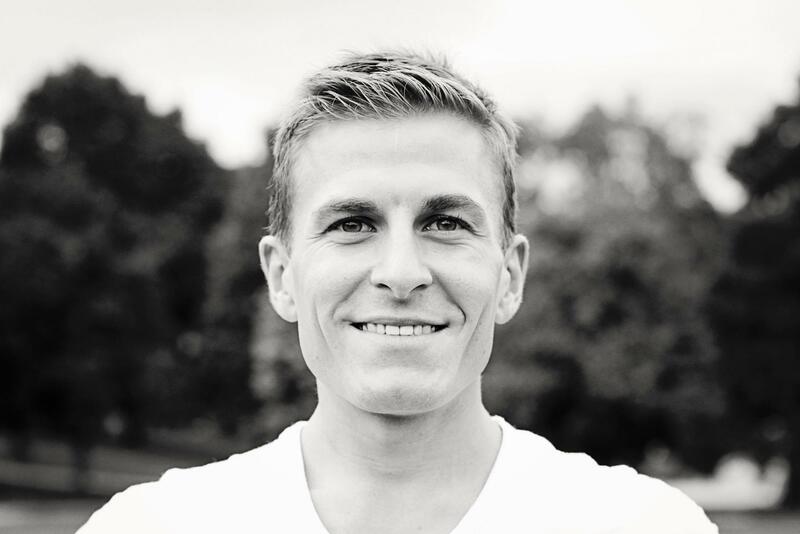 Grant graduated from Creighton University in Omaha with a Doctor of Physical Therapy degree and earned his Bachelors of Science degree in Integrative Physiology at University of Iowa. 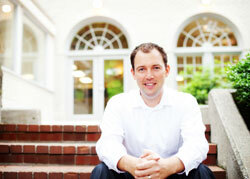 His specialty is treating pelvic muscle dysfunction in athletes and bicyclists. As an avid bike racer and commuter who personally suffered from pelvic pain, Grant experienced the frustration of not being able to do what he loved and sought to find a way back to health and greater performance. He is inspired to help people find their own way to learn to listen to the signs from their body in order to overcome injury and enjoy lifelong fitness. In addition to PT, Grant teaches yoga emphasizing alignment and breathing to give clients a basic road map towards transforming the body that carries over to their sport. He moved to Portland to contribute to this healthy vibrant community and keep it moving well. Anna graduated with honors from the University of Illinois at Chicago with her Doctor of Physical Therapy (DPT) degree. Following her physical therapy program, Anna advanced her expertise in physical therapy via completion of an Orthopaedic Residency at the University of Chicago. She is a Board-Certified Specialist in Orthopaedic Physical Therapy (OCS) as recognized by the American Board of Physical Therapy Specialists. Anna also holds a Bachelor of Science in Kinesiology from the University of Illinois Urbana-Champaign. She has worked with athletes in various sports from recreational runners to Paralympic gold medalists in wheelchair track. Anna is passionate about promoting a healthy lifestyle and facilitating people to achieve their physical goals. She has a specialist interest in the prevention and treatment of running injury, as well as in optimizing performance. 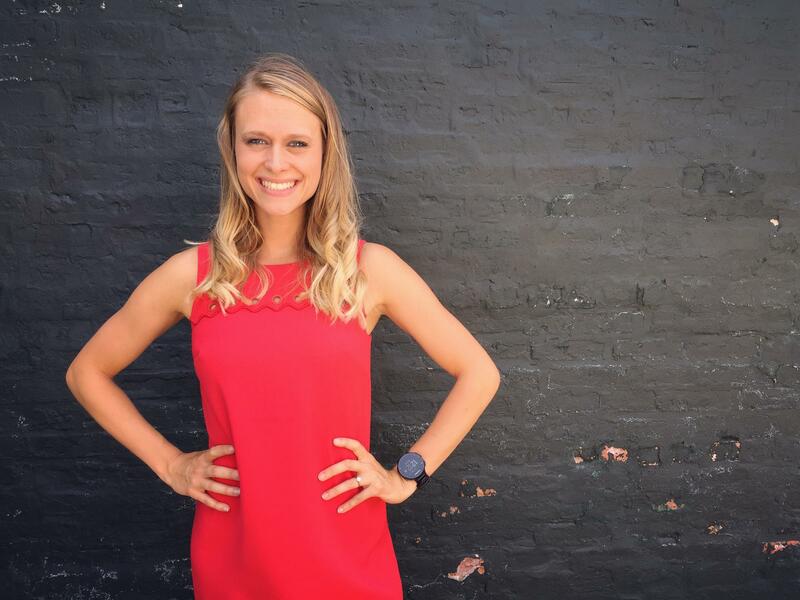 She is a Road Runner Club of America Certified Running Coach and loves to pair her background in exercise science and biomechanics, orthopaedic physical therapy, and personal training with coaching her running athletes to meet their individual goals. Anna is an avid distance runner with a love for being outdoors. She spends most of her free time on the trails training for her next race or summiting PNW mountains. Gwen graduated from Azusa Pacific University with her Doctorate of Physical Therapy. 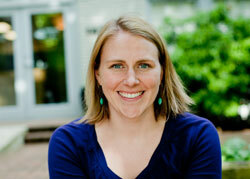 She received her undergraduate degree in Psychology at Willamette University. Gwen was a collegiate swimmer during her years at Willamette and enjoys working with swimmers and athletes of all backgrounds and believes in the importance of teaching athletes of any age about the importance of injury prevention and working this into training. While Gwen specializes in shoulder injuries, she has experience working with people of all ages recovering from post-operative rehabilitation, sports and running injuries, as well as those who may be suffering from work or postural related injuries. She also has experience working in vestibular rehabilitation and treating those who suffer from BPPV. Gwen believes that educating her patients and providing them a plan to return to optimal function are of utmost importance. She strives to help people understand rather than fear their pain. In her free time, Gwen enjoys exploring new hiking trails, swimming, running, playing basketball, snowboarding, and going to Blazer games with her husband and friends.